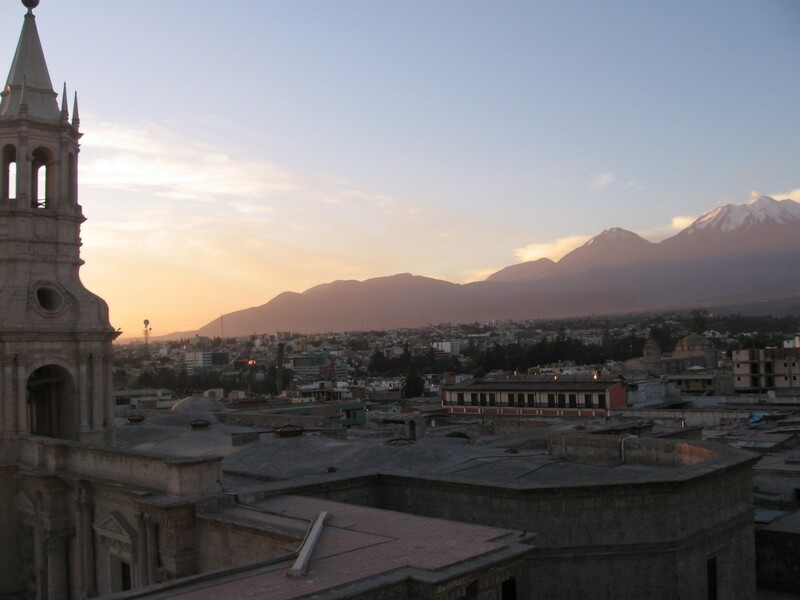 We got into to Arequipa very early in the morning and having been able to sleep a bit easier compared to the night before we decided to walk into the city center and save ourselves the s/ 5 cab ride into town. Using Mel’s limited Spanish to ask for directions we headed into what we thought was the right way and other then one wrong turn we ended up getting into the city center a little over an hour later. Looking like super tourists with our backpacks on we pulled out our lonely planet guide and found our hostel, La Posada del Virrey. For s/ 45 per night we got a private room with 2 big beds (one for sleep and one for a fort of course) and a private bathroom. 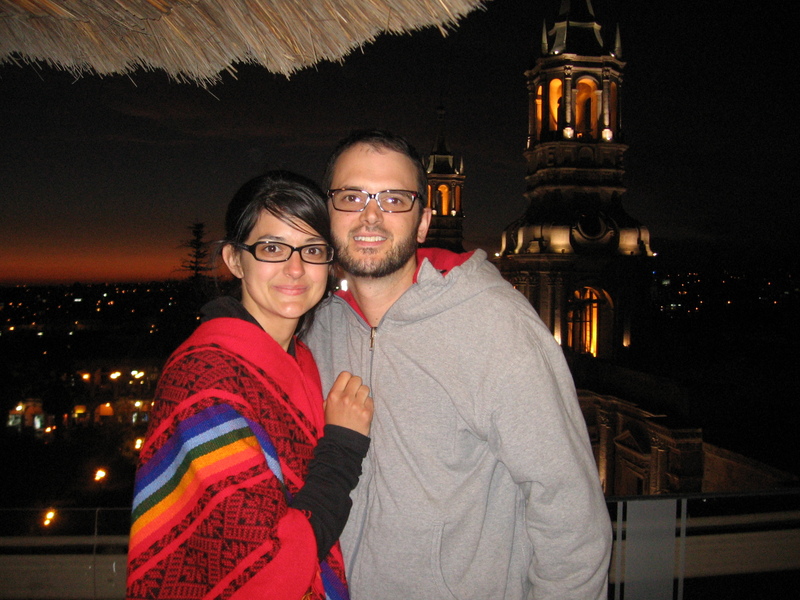 It was very close to Plaza de Armas and we spent the next 2 days shopping and exploring the city. On our last night we treated ourselves to a diner at the rooftop terrace at sunset and both the food and the view were great. I discovered that Alpaca is delicious! 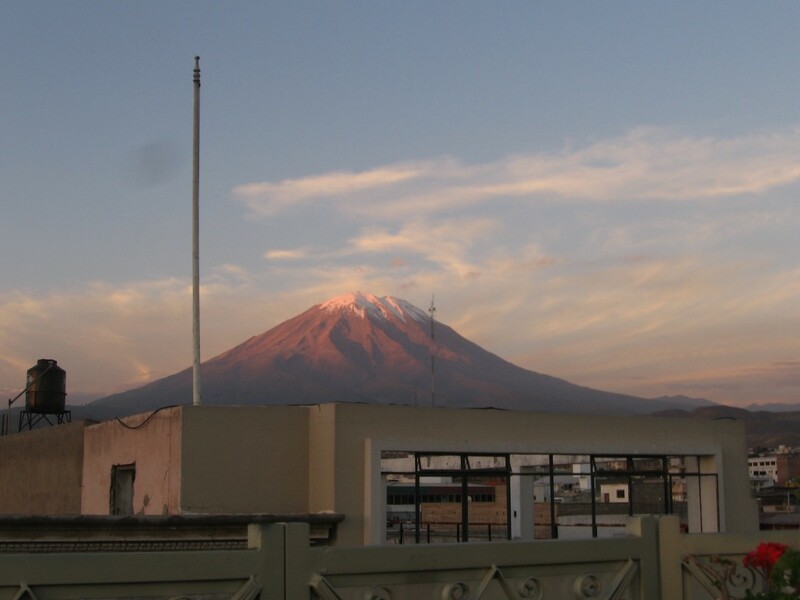 The next day we left to meet our friends in Cuzco, partly due to mistaken identity and also trying to be thrifty we went with a discount bus company called “San Cristobal del Sur” and although I have no complaints about the company I soon discovered why it was cheap. The cheaper companies are very relaxed about who gets on the bus and will stop on the side of the road to pick up anyone with money. This is a common tactic for tourist focused thefts and also for people without proper ID to get around the country. The national police know this and stopped our bus numerous times to check ID’s. At which time we would see people and sometimes complete families run from the bus to avoid being taken by the police. The company even goes as far as to sit all the “visible” tourist at the front of the bus in hopes of avoiding control checks. Although we arrived safe and had very limited issues, this experience has scared us away from the discount bus services.